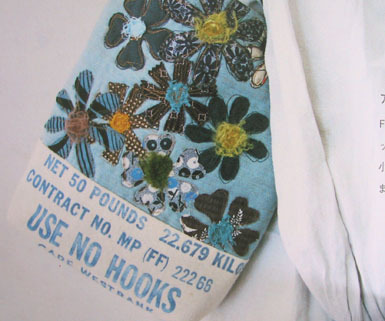 Here’s my new favorite book – patchwork and purses! Another excellent Japanese craft book to play with. The instructions on this one seem very complicated. Or very simple depending on how you look at it. They basically (I think) say, sew quilt, make bag. Got it! Many thanks to sweet Valentina for offering pick me up something from Kinokuniya (Japanese bookstore in NY). Poor girl didn’t know what she was getting herself into! and it even includes helpful lifestyle tips like how apples should be eaten with spoons! Gorgeous projects! 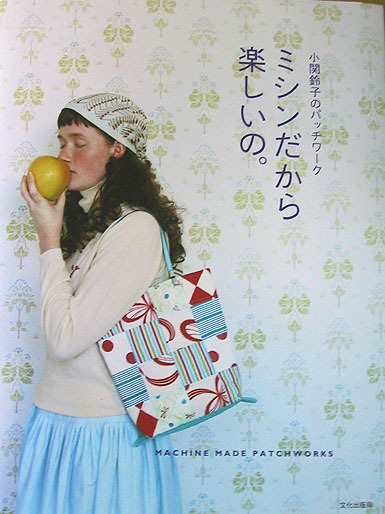 Where do you find these wonderful Japanese craft books? I lost count of the time I spent at Kinokuniya when I was in NY. very nice. how do you find these japanese treasures?? oh my-too cute and exiting! now if I could find out what that fabric is on the bag in the first photo-does anyone know it? Great projects! Who knew patchwork could be *that* cute!? Sooooooo cute. I might have to do some patchwork now! I’ve been coveting that book ever since I saw it on Kitty’s Oriental Craft Shop. Can’t wait to see what projects you’ll choose! Stop with all the cute quilt inspiration! I should spend the upcoming weekend cleaning and doing laundry, and now all I can think about is finishing the quilt I started last fall and going through my fabric stash and planning another one. Love the pillow…red and gray and those great patterned fabrics!! Haha! Well I wish I’d known that Jen, I just dropped a small ransom for a book on eBay. What awesome eye-candy! 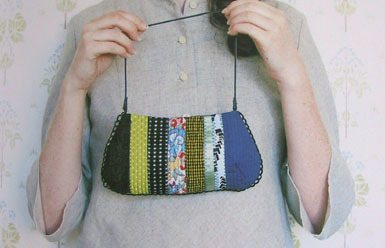 I absolutely adore the little purse! I might be getting this book, too. Thanks for all the great ideas and things you post! It’s so inspiring! 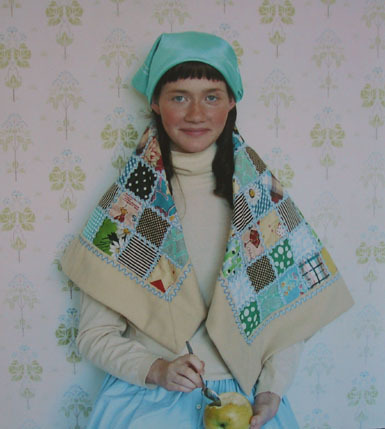 Wow, these are great quilting ideas! You have been giving me such quilting inspiration lately, I am trying my best to direct it towards finishing projects that have been sitting around, but these pictures have given me all kinds of ideas for new projects! Laural – I know! It is so hard to keep unfinished’s in the game when new exciting things are popping up all the time! Everyone – about those Zakka books, maybe they can be ordered online through Kinokuniya’s bookweb? Seems like there’s a cart and all. But no info on shipping costs that I see offhand and the page where they want you to enter your credit card information isn’t secure (no https). So? I don’t know. There is an email address on the cart page. They might be able to help. 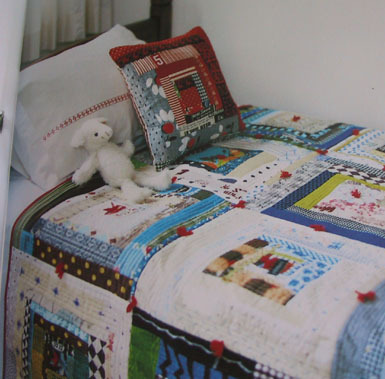 How or where can I get a copy of the Machine quilting book? It looks amazing. may i know where can i buy this book?I’m going to japan on next month.May i know where can i get this book or patchwork books in tokyo?What’s the name of the shop?